We know that autism can be healed, because we have seen the evidence of recovered lives. We know how autistic children feel, because recovered autistic children have been able to tell us how it felt. They have been able to describe their experiences after their lives were restored to normal through homeopathy. Can you imagine being a young autistic child who has constant stomach and bowel pain, and having no ability to communicate your distress to others? Can you imagine having emotional meltdowns and anger fits because of your physical and emotional pain, and because you are unable to communicate and process your feelings through speaking? Can you imagine being lost in a world of frustration where you can’t understand what is happening at school and have no ability to reach out to other children or to teachers? Can you imagine not being able to make eye contact with your parents or other people and wandering through life without feeling love or feeling connected to anyone? Can you imagine spinning in circles in your own world, because other people seem to live in a different world that is beyond your understanding or your reach? This is how many children with vaccine damage lived until they were helped by homeopathy. In my previous article on healing vaccine damage, I discussed the use of homeopathy for curing many types of vaccine damage. That article focused on the principles of homeopathic treatments, the remedies that are used, and the most common form of homeopathy that is being used worldwide. Homeopathy works by restoring the body’s natural ability to heal itself. Please read the previous article on homeopathy to learn how this is accomplished. In separate interviews, Homeopath Cindy Griffin from the Homeopathy Center of Houston , and homeopath Kate Birch from the HippHealth Center for Holistic Healing in Minneapolis , both told me that approximately 75% of the autistic children they help have experienced vaccine related damage. Autism, just like most other modern illnesses, does not have a single cause. Vaccine damage, pharmaceutical drugs, and toxic exposures such as glyphosate in food are at the top of the list of causes. The health of most Americans continues to decline year after year and has been doing so for the past one hundred years. The conventional medical care system with its reliance on pharmaceutical drugs and vaccines is unable to change the trend, because their treatments are partially responsible for causing the decline of health. Despite the failings of conventional medicine and its high costs, most people remain wedded to it, even though it does more to damage our health than it does to cure our illnesses. Constitutional homeopathy is the prevailing form of homeopathy used around the world. It continues to provide effective treatment for numerous types of illness including communicable infectious diseases, vaccine injury, and autism. In constitutional homeopathy, the homeopath seeks to find the single remedy that most closely matches the clients total set of symptoms. When this remedy is taken, it supports and restores the vital force of a person’s body so it can correct and heal illness. The properly selected remedy will affect the physical body, the emotions, and the functioning of the mind. It detoxifies the person and helps to bring forth a well-formed and distinctive personality. Homeopathic research is forging ahead into new areas of treatment. This new research is producing highly effective homeopathic techniques for some of the most difficult cases of vaccine damage and severe forms of developmental disability. This article will focus on the more recent developments in homeopathic treatment and will specifically look at how sequential homeopathy and other homeopathic treatments are being used to bring about recovery from autism. I will be investigating the cutting edge homeopathic treatment method called the Houston Homeopathy Method™, because it has successfully helped many children recover from autism. It offers hope to parents who may have given up hope of ever seeing their children restored to normal functioning. I hope this article will stimulate greater interest in homeopathic treatment, because many autistic children could benefit from homeopathy. I am focusing on the Houston Homeopathy Method™, because it has freed over 100 children from their autism. These children have experienced complete recovery. The Houston Homeopathy Method™ has also given relief from the most severe symptoms of autism to countless other children who are now able to live pain free lives with much improved social skills. There are four homeopaths who have been working to develop the Houston Homeopathy Method™. They are Julie Adams, Lynn Rose Demartini, Lindyl Lanham, and Cindy L. Griffin. I recently interviewed Cindy Griffin who is a co-founder and spokesperson for the Homeopathy Center of Houston , (soon to be renamed Homeopathy Centers of America), where the research was done to develop the Houston Homeopathy Method™. 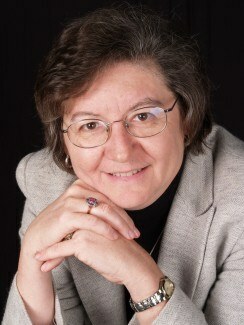 Cindy Griffin is a homeopathic consultant, author, speaker and educator. She has authored many articles that have appeared in numerous print and online magazines, including Latitudes, Autism Science Digest, The Autism Perspective, and The Autism File. She has also authored book chapters for all three editions of Cutting Edge Therapies for Autism. She sits on the editorial advisory boards of two magazines, Autism Science Digest and The Annals of Psychotherapy and Integrative Medicine. I interviewed Cindy Griffin for Health Impact News on February 20, 2015. I would like to share some of what I learned, because it is relevant to the struggles that are faced by nearly two million children and young adults in the United States. The information that follows is in question and answer format. I will explain how homeopathy is used with vaccine injuries and will take an even closer look at how it is used with autistic children. I want to provide a vivid example of how this method works to reclaim children from autism. QUESTION: What are the steps that you go through when you begin to work with a family with an autistic child? When we are working with a complex situation such as vaccine injury, autism, chronic allergies, or whatever, we ask parents to complete a fairly extensive history. This includes history of vaccine use, list of drugs taken, chemical exposures, medical procedures received, accidents, emotional traumas, etc. We are looking for anything that has impacted the immune system. We try to put this into a chronological order. This history becomes the basis of our approach in working with the client. We then do an interview with the parents based on the timeline. The interview tries to determine where the child is right now and to identify the first things that the parents want us to address. We flesh out the timeline by clarifying the information and adding more details. Once we have gotten a pretty good handle on who they are and where they are, then we try to assess and address their most critical symptom. We try to find remedies that the person can take several times per day which are going to be fast acting, so we can, for example, get them out of pain. This is our number one priority to get them out of pain or out of their distress or discomfort. As we do this, we try to determine which areas of the immune system and which detox organs we will need to support and clean up. The result is that we put together a very individualized group of daily remedies to help in these areas. We don’t want to release a lot of toxins with the clearing process that we use when the toxins cannot find their way out of the body. We want to avoid recirculating toxins, which can cause people to have flu like symptoms. We don’t want to flush a toilet if we know there is a backup at the sewer line. We don’t want to create a situation where people don’t feel well, and they start to hate their homeopath. Once we feel that the client is detoxing well, and this might take one to two weeks or a month or two, then we can start working on traumatic events. We work from the most recent trauma events and take into account the symptoms that are right on top, because those will often correspond to the most recent trauma. We then go backwards through the client’s history, one traumatic event at a time. An event can be anything such as the loss of a job, the death of a spouse or child, to a group of vaccinations that were all given on a single day. A traumatic event could be something like a car accident where the person lost his best friend. In this type of trauma, there is both an emotional component as well as various physical components. The trauma from the accident itself was combined with, for example, the trauma of breaking a bone and subsequent surgery to treat internal injuries. All of these traumas can be addressed through homeopathy. Even drugs that were given after the traumatic event would need to be addressed by homeopathic remedies. This is because today’s drugs suppress the immune system and its ability to right itself. It is not just vaccines that create blockages to healing, but it is also antibiotics, steroids and antivirals. All of these things, trauma, vaccines, and drugs, are blockages to recovery. We remove these blockages with homeopathic remedies. We start with the top layer. Then we start working our way back in reverse chronological order, because that is how the body will naturally begin to cleanse and heal itself. QUESTION: Are you doing sequential homeopathy? Sequential homeopathy is the backbone of what we do. We call our method the Houston Homeopathy Method™, because to our knowledge, no one else has put together quite the comprehensive program that we have. Sequential homeopathy is one method that other homeopaths use as well. We have fleshed out our method to incorporate drug clearing, etc., which makes us a little different than other homeopaths. Sequential homeopathy is the backbone of what we do, and everything else that we bring into it supports that backbone. We add supportive remedies, detox support, homotoxicology, gemmotherapy, and any other homeopathic protocol or approach that will help our clients. QUESTION: Before we take a closer look at the actual methods that you use to treat autism, could you share some details about the recovery process of a specific client who was vaccine damaged? I would say that at least 75% of our clients have vaccine related injuries. A lot of parents who come to us had no idea that vaccines had anything to do with their child’s autism, asthma, or any other condition. We find that when parents do the chronological history [listing traumatic events] and they plug in the dates of vaccinations, it is very telling for the parents. I would say that the vast majority, probably 75%, come to us saying, “My child was making all his milestones.” The vast majority of kids were actually precocious and progressing normally – talking – some were even reading at age 2 — things like this, and then they would get a vaccine and then something happened. It was not always the MMR vaccine [measles, mumps, rubella], but it often was the MMR vaccine that was the straw that broke the camel’s back. A little boy came to us shortly after being diagnosed with autism at age 5. He had a vaccination and within days, he had lost eye contact and he was banging his head. He had been very verbal, speaking in paragraphs. Suddenly, he became nearly non-verbal. He was left with certain noises that were approximation of words, and a handful of words such as water, hungry, ouch, etc. He was only able to keep a few basic words. He was clearly in pain. The doctor who diagnosed him spoke to the parents and said, “If I were you, I would take your other child and go on vacation and have a normal life, put your son into an institution, and forget you ever had him.” At that point, the mom walked out of the medical world and never looked back. She started taking her son to chiropractors, cranial sacral therapists, etc. She did a myriad of alternative and complementary approaches to try to help her son; then she made her way to homeopathy. She went to a classical homeopath and saw some improvement with her son in eye contact and bowel movements, and things like that. Then she started working with us. We normally start a child with 3 to 5 packets of remedies, which are taken every 24 hours until all the packets are used. After her son took one or two packets, the mother noticed that his eye contact was better. He hadn’t taken antibiotics and didn’t have other traumas. He was what we would call a homeopathic virgin. His problem was vaccine damage. Every time he took another set of packets, he would continue to make improvements in eye contact and words were returning to his vocabulary. After nine months of therapy, we considered him virtually recovered in that he was interacting with his peers. He was catching up at school at warp speed. He was carrying on very interactive conversations. The ability to describe things was returning. Most of what he had remaining was the social and academic catch up to do. He was like a student who had been absent from school for a while and just needed to catch up. After a year of treatment, we felt like we were done, but his mom was worried about what might happen if we stopped the treatments. We told her that it was not the homeopathy that fixed her son, it was actually his own immune system that fixed him – we just nudged it in the right direction. At that point we weren’t doing much for him. His mother just wanted us to keep supporting his immune system. Finally her son just told his mom that he didn’t need to take the remedies any more. That was a real sign that he was completely healed. His life completely turned around. He was involved in extracurricular activities and is now finishing high school. He remains healthy – he is a really cool young man. This child was one of our earliest clients and one of our first full recoveries. 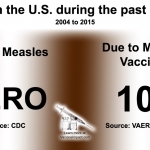 Since that time we have seen a real evolution in vaccine damage, because children are receiving so many more vaccines. We have had over 100 children recover. Recovery is much slower now, because parents are being told to simply accept your child — and oh, by the way — keep vaccinating them. They are told that the vaccines have nothing to do with autism. It is very frightening to me, at nearly 60 years old, to see the spiral downward, and to see how much has changed in just 17 years of practice as a homeopath. It is truly frightening me. The next generation is in trouble! QUESTION: You mentioned giving packets of remedies. I think you call these clearing packets. Are these clearing packets standardized? The clearing packets are the absolutely most individualized part of what we do, because no person’s history is exactly the same. For example, if we help a person with a trauma associated with an auto accident with remedies in a clearing packet, and the person comes back for a follow up session and complains of having headaches, then that would indicate that we got most of the clearing, but the body is telling us that we missed something. This would prompt me to ask if the person had a head injury at the time of the accident. They might say, “O well yes, I had a concussion, but I didn’t think it was important.” We would then add the remedies to address the concussion in the next clearing packet. QUESTION: How many remedies will be in a clearing packet? It all depends on the situation. It could be as few as 5 to 10 or up to 200. We have found that there are some common combinations. For example, if a person had a broken bone, we would include remedies for the break, but also remedies for bruising, joint stress, and the connective tissue. There might be as many as 30 remedies for a specific type of trauma. We might send out 100 to 200 remedies in a packet in a situation where we have an autistic child with gut pain, head banging, and parasite issues in addition to the need to clear a specific vaccine. We would also include supportive remedies to minimize the healing responses as well. Needless to say, we have an impressive collection of remedies in our remedy storage area. QUESTION: In what form are the remedies given? Most commonly we use sugar pellets in the clearing packets. We include 2 or 3 pellets for each remedy, which are put in a paper coin packet. The client is told to take the entire contents of the packet. Our support remedies may be in other forms, because we draw from German Biologicals, homotoxicology remedies, etc. We use liquid droppers, pressed tablets, capsules, even suppositories. It all depends on what the client can handle or the available forms of the remedies. Textures are often a big problem for autistic children. Some of the moms dump the clearing packet into a small amount of water in order to get the child to take it all. All the remedies are from FDA approved manufacturers. QUESTION: I am aware that some people believe that autism cannot be reversed or healed. Have you encountered this? There is an attitude that we should just accept autistic children, drug them, and then eventually put them in an institution when the family can no longer care for them. That mentality is working against the kids. QUESTION: How is your work being received in the greater autism community? I asked her if she was going to be at the Autism Society of Minnesota conference where we would be in about a month. She said, “Yes.” I then told her that the records are in my Houston office, and I would bring something for her to see at that conference. I told her that I have the report from a psychologist who diagnosed a 4 year old boy as autistic. I have a second report prepared by the same psychologist 2 years later, which completely removed the autistic diagnosis. I told the woman that I had standing permission from the mother to share signed copies of the reports, which include the child’s name and the psychologist’s name. I told the woman that she can even contact the psychologist if she wished. I told her that the idea of accepting her child as he is, and not trying to change him, is doing such a disservice to her child. I explained that it is a disservice, because her child is in pain. He is in emotional pain, because he cannot verbally process emotions. He is most likely also in physical pain. I know this, because of what I have been told by the kids who have come out of autism. They have told us what they felt and what they remembered about what it was like to be autistic. I told her, I am sorry, but it is a crime against your child that you are being duped into believing that you should just accept your child as he is. Fortunately, [the attitude of this woman] is in the minority, but it is growing with the messages out there today. We are not willing to dilute our message about autism. The people who come to us are the people we can help. We have always said that our doors are open by the grace of God – they will be closed by the grace of God – and in between, God is going to bring in the people we can help the most. For most parents in the autism community, they welcome the news that anyone is interested, much less able, to help their children feel better. Most parents do realize they are very ill, or in pain. QUESTION: We don’t hear much about the institutionalization of autistic teens and adults. Parents can usually handle the aggressive activity of a 4 or 5 year old autistic child through their greater physical strength, but what happens when violent autistic children reach an age where they are as big and as strong as an adult? This may vary from state to state, but once an autistic person reaches adult age, the parents face the option of either going for guardianship, which does not preclude them from ultimately choosing to have them institutionalized, or, if the parents don’t become guardians or assign guardianship to a person of their choice, then they become wards of the state. As adult wards of the state, they seem to just quietly disappear into the [mental health] system. A lot of parents do their best to keep their autistic kids home, but where you have a hugely violent autistic grown man who outweighs his hundred pound mother — she simply cannot keep him at home. The oldest autistic person that I have worked with, who was still staying home with the parents, was a 27 year old man who was extremely violent. In addition to the autism, he also had a forceps traumatic head injury at birth, which caused intellectual deficits. The parents told us that they had to get his aggression under control. They said, “If you can’t do it, then he will have to be institutionalized.” The mom already had broken bones as a result of his violence. We got him as far along as they were happy with and comfortable with. The dad’s desire was to be able to take him to a professional baseball game and sit in the stands with him and enjoy it. The autistic man enjoyed watching baseball with his dad on TV, but he couldn’t handle the crowds. After working with our program, they got to do that. Do I count him as a recovered autistic person? The answer is no! Our definition of recovered is stringent. When we say that we have a hundred complete recoveries, it is from autism or PDD-NOS [pervasive developmental disorder not otherwise specified]. Children are deemed as being recovered when the school determines that they no longer need to have an individual education plan, or an aide, or any other type of special support. They also can be determined to be recovered by a psychologist or by someone who is licensed to make those judgments. We know that not all of the children we treat are going to have complete recovery. If we can just get them out of pain and improve their behavior to the point that they can live safely in the family, we have accomplished a lot. I have stopped counting the number of children who have gotten that far. [Treatment can be stopped for many different reasons.] Sometimes parents have to stop treatment because of money issues. There are definitely children who are being institutionalized. I have seen some videos showing them in restraints or drugged to the point of being zombies. Institutionalization is happening, but we are not hearing a lot about it. This is because the most vocal parents of autistic children are fighting for their kids and fighting for vaccine choice, and these parents are going to keep their children at home as long as they can. On the other hand, autistic children with quieter parents who are not so able to fight will be going into institutions. QUESTION: Can an older person with vaccine damage recover to the same extent as a younger person? There are a lot of things that enter into the possibility of recovery. First we look at the number of drugs that have been used. Homeopathy can overcome a lot, but the more drugs there are, the longer we have to work to get the effects of those out of the way before we can begin to deal with the vaccine aspect. But, at the same time, the older clients will have fewer vaccines. It is also a matter of slowness of metabolism as we get older. Little kids who have a fast turn-around are usually the kids who are very recently diagnosed at a fairly young age and who more recently tumbled into autism. Slower recovery may be experienced by those who always had some characteristics, which may have started when they received the hepatitis B vaccine at birth. The younger kids are getting so many more vaccines. So, there are a lot of variables there. We pay equal credence to physiological problems and those physiological problems are often causing horrible pain in some cases. When we get the gut under control and when we can get the levels of inflammation ramped down, then the behaviors get better. We have never felt like there was an age limitation with homeopathy. Most homeopaths will tell you that if you are still breathing, then you will respond to homeopathy. Ultimately, it is just a matter of time and energy and quickness of responses and what the financial resources are as to how far we can go with an older person. But we have never shied away from older kids. Yes, older kids are tougher, in some ways, but they had fewer vaccines. There may be some limitations with older children. We might not recover an older child 100%. We know that everyone who comes in our door, when they leave, they will be cleaned up, and will usually be in less pain. We believe that if you are breathing, then you will usually get some benefit out of homeopathy. QUESTION: How does homeopathy work? As far as modern science can discern, no one knows. My honest feeling is that eventually, it is going to be the realm of quantum physics that is going to find those answers, and like most science, it is an evolving science. This is the analogy that I have put together based on my own homeopathic training, and from observation of hundreds of cases (my own and those of my colleagues). Everything in nature has frequency in it. Sound has frequency. Radio waves have frequency. I am also a musician from my original training earlier in life. If you take two identical tuning forks, they each will have a frequency stamped on them. For example they might say “A 440.” These frequencies can be measured with scientific instruments. If you take one of the tuning forks and you strike it so that it begins to vibrate, and then hold it next to the other identical “A 440” tuning fork, then the other tuning fork will start resonating [vibrating] with the one that was struck, and they will vibrate together. If a healthy person takes a substance, and he takes enough of it, then it will eventually have a toxic effect, and will produce symptoms. This happens, because the body says that I am getting too much of this. Each of the symptoms has a particular frequency. Each substance also has a frequency. The frequency of the substance is imparted into the homeopathic remedy when it is made. The frequency is imparted during dilution and succussion. First the substance is diluted then the vial containing the substance is succussed by striking it against one’s hand or a hard surface. I was fascinated to learn that Dr. Hahnemann used a 2 inch thick leather bound Bible for his succussion process. When the vial is succussed or struck forcefully, it releases some of the frequency of the substance into the water or alcohol that is being used to dilute the original substance. That frequency is held there until it comes in contact with a living object. I have seen remedies work on plants. I have seen them work on animals. I have seen them work on infants. I have seen them work on Alzheimer’s patients. I have seen them work with unconscious people. This is not a placebo effect. As I see it, when you have a client who has X-Y-Z symptoms that have a specific frequency, and you know that a certain remedy can produce X-Y-Z symptoms at the same frequency, then when the remedy is used, a little bit of the frequency in the remedy is brought into the body of the person. Now we can go back to the tuning fork example. When the homeopathic remedy is used, the frequency that it contains is like a vibrating tuning fork. The remedy causes the body to start resonating to the frequency of the remedy. When the body recognizes the frequency and begins to have a similar frequency response, then the immune system begins to kick in. When the immune system is activated in this way, the person may sweat, have a fever, urinate, vomit, have diarrhea, etc. These are all responses to the immune system’s wisdom, which is telling your body that it needs to do these things to match the symptoms and frequency of the remedy in order to eliminate the symptoms and rebalance the body. Then, everything is set up to start healing itself. We believe that God is the greatest healer. We believe that homeopathy is a tool that Hahnemann stumbled on to. This history actually goes back further than Hahnemann, but he was the one who codified it. We believe it is truly medicine that works the way our bodies were designed to work. The honest truth is that the mechanism of action [in homeopathy] is not well understood. But if you ever look into the Physicians’ Desk Reference (PDR) or the Nurse’s Drug Guide, you will find that basically the mechanism of action of most of the drugs that the drug companies sell are not well understood, and that statement is in the reference guides. But, we are called upon as homeopaths to defend and explain exactly how our remedies do what they do. I know it cannot be placebo. With placebo, there is an expectation of response to whatever is being given. QUESTION: How did you get involved with homeopathy? I was a complete non believer when I had my first encounter with homeopathy, but I was desperate, and that is what got me into homeopathy. Medical science and antibiotics were not fixing my 6 month long non-stop horrific sinus infection. I got up the next morning and it was gone. It was gone, gone! I didn’t even have to blow my nose. I could breathe clearly. It was at least 5 years before I had another infection. It had been at least an annual ordeal for me for many years. QUESTION: Many people with autism, developmental disabilities, and developmental delays have severe digestive problems. Often they will be very picky eaters and will be eating a nutrient poor diet. Can homeopathy heal gut dysbiosis without changing the diet? Homeopathy is very gentle medicine. If you own a Maserati or a Ferrari, or some other high performance car, and you put the wrong fuel in, then it is not going to perform at optimum. When you have a vaccine injured body that already has dysbiosis, you are still going to address diet to some degree. This will be an uphill battle. I have seen it work. I have seen it overcome dysbiosis in children who were not eating or who were eating a lot of sugar, because that was all the parents could get into them. We know for a fact that gluten and casein are inflammatory to the intestinal tract and yet we had a young man who was probably 90% recovered from autism even though all he would eat was Ritz Crackers and drink milk during the entire time we were working with him. Now he wasn’t eating a lot of GMO stuff, still he was living on the things that typically you would think would not be good in an autistic child’s diet. Even so, we still made amazing progress. Once we cleared his MMR vaccine damage, he started branching out with the foods he would eat. He was able to go to a healthier diet and he was much less picky. In this situation, he was eating the things that he knew would not make his tummy hurt. When we finally cleared the MMR a few times, his gut actually settled down and he was able to eat better, and then we saw faster improvement. It is not impossible, just harder. QUESTION: We are in the midst of an intense battle between those who are pushing mandatory vaccination for everyone without any exemptions, and those who believe they should have health freedom and always have the right to refuse vaccination. Given all the intense mainstream media attention on the value of mandatory vaccination, what message would you want to give parents? I am thinking about parents who are still permitting their children to receive vaccinations, yet they are starting to wonder if they are doing the right thing. Mothers and fathers tend to have a good gut about them. They should listen to their gut and not listen to the hype on either side — and reel in the germ phobia and the hysteria — and insulate themselves from all that on both sides of the issue. They really need to start looking around them. I encourage them to talk to other parents. At this point, almost everyone now knows somebody with a child who has autism, or at least who is on the spectrum. Talk to these parents. Talk to a lot of parents. There are a lot of those parents out there. Do your homework. Read the vaccine inserts – read every word – every bit of it. Research it on your own and then make an intelligent decision. Honestly, there are things that we can do before and after vaccination to help minimize damage. I have done this with some of my own family members where they said that I really just feel like I have to take this vaccine. Whether it is political pressure, school pressure or family pressure it doesn’t matter – we all have those pressures. We have done pre and post supports for those who choose vaccine administration. I do believe that helps minimize the impact of the vaccines. But as far as being afraid of the diseases that are supposedly vaccine preventable, the record is really beginning to fall apart — maybe they aren’t preventing diseases — maybe there is harm for some people. You just need to talk to people and educate yourself. Don’t limit yourself to the hype on either side of the issue, and I am notorious for being very vocally on the side of WOW I don’t think vaccination is all it is cracked up to be. Do your homework. Don’t be driven by fear and listen to your parent-gut, because that’s really the best judge that is going to be right for you and your family. If you have a doctor who gives you a hassle because you decide not to vaccinate or because you want to stretch out the schedule of vaccinations, then bid him goodbye and find another one or better yet, find a good homeopath to give you some other good options to build your child’s immunity naturally. And just remember, we don’t come in into this world with vaccines missing in our blood stream. It wasn’t something that was forgotten by the designer of our bodies. Don’t be afraid. Homeopaths have dealt with childhood illnesses very successfully – and a lot more. Find a good homeopath. QUESTION: How do you find a good homeopath? We [at the Homeopathy Center of Houston] would like to help everyone we can, but there are only four of us and only so many hours in the day. I suggest looking in your phonebook and on the internet. If you think that you have vaccine injuries, then find a homeopath who has some experience with autism or vaccine injury. I think a lot of people benefit from constitutional homeopathy [classical homeopathy], which is the most common approach. Constitutional homeopathy is the single remedy approach. All of us in our center were trained in that, but I was also fortunate to understudy with a sequential homeopath in Houston. You can find lists of classical homeopaths through the National Center for Homeopathy. Look under vaccine information websites such as the ThinkTwice Global Vaccine Institute. They have a list of naturopaths and homeopaths who work with vaccine injury. They call it vaccine injury reversal. Find somebody with experience, somebody that you are comfortable with. Call them on the phone and ask them point blank, what is your experience with vaccine injury or with autism or with Asperger’s? If you don’t like the answer, then there are a lot more homeopaths out there. Homeopathy is the second largest medical system in the world – right behind conventional medicine, so there are a lot of options out there. If you want to try sequential homeopathy, then give us a call. We [work with] really tough kids. Another thing to look for is homotoxicology. This is one of the sub methods that we use, but there are people who do homotoxicology as a standalone treatment. If a child already has a little bit of an immune system to work with, then this type of homeopathic treatment can get them way down the road. Homotoxicology is sometimes known as homeopathic detox. I don’t think this is a great definition, because homeopathy, by its very nature, no matter how you use it, is a detoxification medicine. Sometimes homotoxicology therapists come to a certain point, and then they refer to us as sequential therapists [for further work]. We incorporate homotoxicology in what we do. So, everyone who comes to us gets homotoxicology, gets German biological medicines, gets sequential homeopathy. CEASE therapists are another possibility. CEASE therapy [Complete Elimination of the Autistic Spectrum Expression] can be found on the internet. [Regardless of the type of homeopathy that you use], you really want somebody with a good track record. We call our method the Houston Homeopathy Method™, which incorporates sequential homeopathy with all these other homeopathic methodologies. There may be a few other people who do sequential homeopathy, but if they did not study under us to do the post homeopathic basic training approach, then they are not offering everything I have just talked about, because that is exclusive to us. All four of us at our center are trained in this method, we all do the same method. This method is a work in progress, because we all are learning more about autism every day. But we’re pretty certain autism isn’t caused by a lack of vaccines in the system. We have been blessed to be actively involved at Autism One/Focus Autism Conferences for all but their first year. We have always believed in their message and mission. There’s a lot of resource information at this conference. It will be helpful for parents who are trying to recover their children from autism. 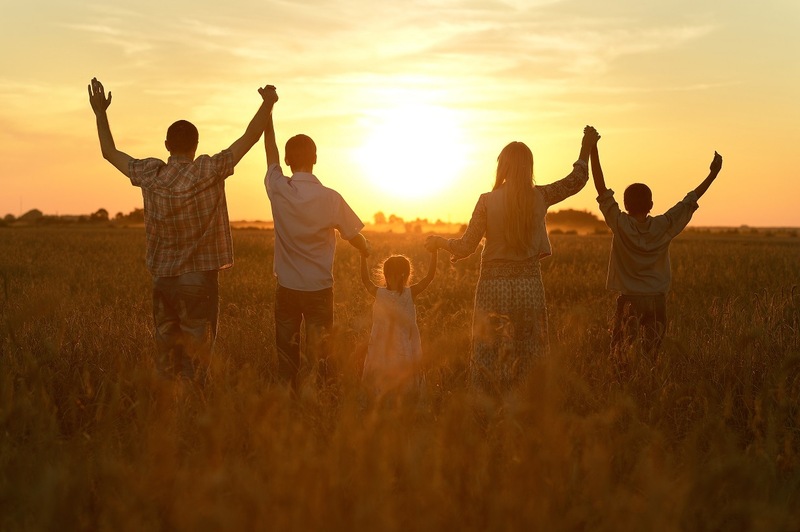 It will be useful for parents of newly recovered children, as well as for children who are facing transition into college, the workplace, or more independent living. Autism One offers a wealth of information you probably won’t find anywhere at any other single conference. It can cover virtually any topic that might help the kids on the autism spectrum. Topics range from conventional biomedical interventions to cutting edge therapies, alternative medicine, and anything that gives hope for betterment of the kids’ lives and physical well-being. In addition, the AutismOne conference has offered special day long events to help professionals better understand autism and its causes, and to help them respond in a positive manner to the needs of autistic children and their families. The conference might seem a little overwhelming to parents at first, because there is SO much happening there. There are so many tracks from which to choose. I suggest that parents go together and “divide and conquer” by going to different sessions in order to get the most from the conference. They then can reconvene to share what they find. I also encourage parents to take advantage of the afterhours events, for networking and relaxing with other parents. AutismOne is probably one of the most uplifting conferences I’ve ever attended. We look forward to it each May. We use it for networking with practitioners, gathering precious morsels of information that might help our kids, for meeting parents after we speak, and for putting parents in touch with other parents. We have an information table where we can meet parents and discuss our work. We also host a Parent Roundtable where parents, in their own words, share their experiences about how the Houston Homeopathy Method™ has helped their children recover from autism. The roundtable discussions are always fun because we often hear really fun, positive stories about the kids that don’t always get shared during homeopathic consultations. Telephone interview with Cindy Griffin at the Homeopathy Center of Houston, Houston TX, 2/20/2015. Telephone interview with Kate Birch at the HippHealth Center for Holistic Healing, Minneapolis MN, 2/23/2015.